Permit Practice Test NY - Get a Free NY Permit Test Guide Today! Are you looking to prepare for the NY Permit Test? which is a part of the requirements before you can get your driving license. It consists of multiple choice questions. If you have an out of state or international driving license, you are probably allowed to drive within New York State. But you must have a valid driving license to drive within the state. The exception to this is if you are under 16, even if you have a valid license in another state or country, you are not allowed to drive in New York. The written NY Permit Test that you will take covers a variety of topics. It will cover your driving techniques, rules of the road, road signs and meaning of road signs and laws on drugs and alcohol in relation to driving. Our permit practice test NY that is modeled after the real deal. You can familiarize yourself with all of the questions an actual test will throw at you. If you’re in New York, you need to take the permit test before you can start taking lessons. We offer free practice test from official driver’s handbook. Take a couple of the FREE practice tests for the DMV test. We offer the practice tests in both English and Spanish. 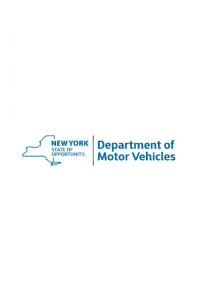 The written practice permit test NY contains information found in the New York drivers manual. It covers topics such as basic driving rules, state laws. The written test contains information found in the New York drivers handbook. It covers topics such as basic traffic rules, road signs. The questions on the practice test and actual tests come from the official driver’s manual, so you know where to find all the answers. We are here to help you! Try our practice test before you take your written test. Practice tests are available in English and in Spanish. Everything you need to know about your New York state permit test. 100% Free tests, over 300 Q&A from official driver’s handbook. Are you ready to get your driver’s license, or still worried that the NY Permit Test may give you trouble? If the latter is the case, allow us to help. Here are some helpful tips that can help you prepare for your NY Permit Test. Allow time for study. Most NY DMV offices have packets available for free that help you study road laws and traffic signs, so take some time to read through those packets before anything else. Pick other’s brains. Has one of your friends or relatives recently taken the test? If so, don’t hesitate to ask them about their experience. What was the environment like? what kinds of questions did they have to answer? How rushed were they? Knowing what to expect will significantly decrease your stress level and increase your confidence going into the test. Do some recon. How about a quick stop at the DMV prior to taking the test? Going off #2, it’s a great way to learn about your environment and know what to expect. Take the Practice Test. The single best way to prepare is to simulate the experience beforehand. Once you know the environment, prepare yourself for the questions by taking one of our seven practice tests for the State of New York. It’ll be invaluable in helping you prepare for the actual test, because it’s in the same format. Following these three steps should get you ready and confident to take and pass the test! If you have any further questions about the process of getting your New York Driver’s Permit, please do not hesitate to contact us.